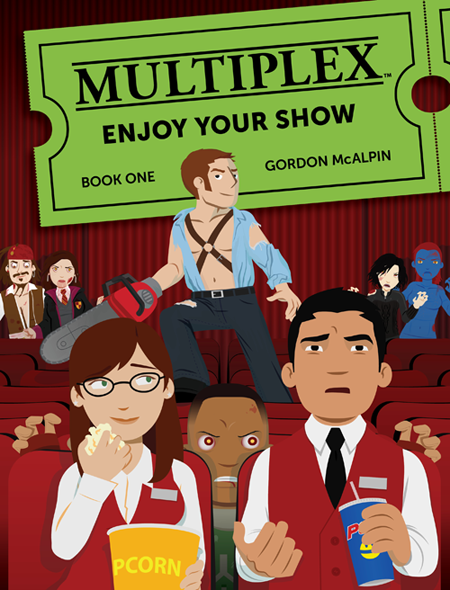 Multiplex is an online comic about the movie-loving and customer-weary staff of your local movie theater. 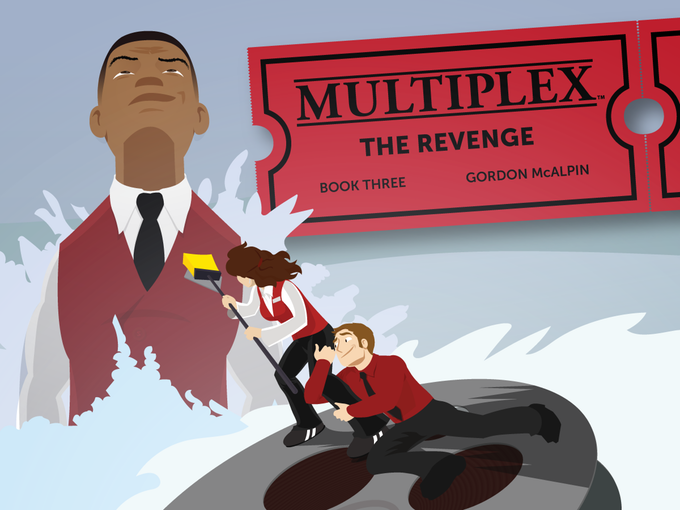 It is written and illustrated by Gordon McAlpin. It has been running continuously since July 2005, and serves roughly 50,000 unique visitors per month (or about half a million pageviews per month). for a third volume collected edition of strips. I have backed the first 2 volumes and this one as well. Gordon has always delivered on his Kickstarted projects. He has also been very communicative with his backers as well. Not something you see from everyone runnign a KickStarter lately. I’m not much of a reviewer. But the interplay of characters brings me back week after week. It has been a treat to see the characters grow and change. The strip runs more or less in real time. You’ll see current movie posters in the background. You get your funny. You get some angst. You get some romance. You get some snark. UPDATE: The Kickstarter for Book 3 was a success!! !